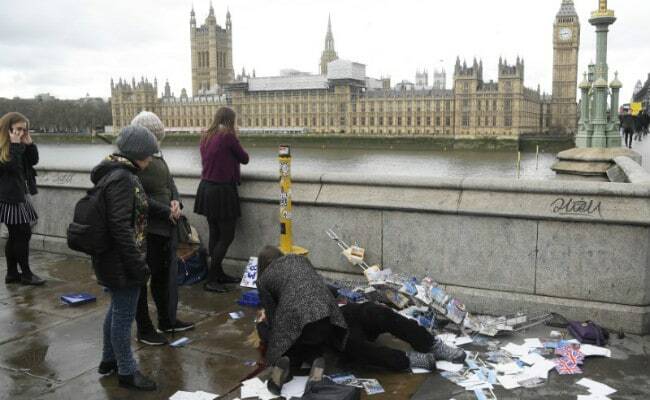 UK Parliament Shooting: The attack took pace near the Palace of Westminster in London. Seoul: Five South Koreans were injured near the British parliament on Wednesday in what UK police called a "marauding terrorist attack," South Korea's foreign ministry said in Seoul. The five were injured in the chaos that ensued when the attacker ploughed into pedestrians on the Westminster Bridge, the foreign ministry said in a statement. Three women and one man in their 50s and 60s suffered injuries including broken bones, the ministry said. Another woman in her 60s suffered a head injury while falling and was taken to a hospital and was receiving surgery. There was no word on the seriousness of the injuries. The five were being treated at two hospitals, and South Korean consular officials were on site to assist them, the ministry said. A text message to South Korean nationals visiting Britain has been sent advising precaution following the attack, it said. Five people were killed, including the assailant and the policeman he stabbed, and at least were 20 injured. It was the deadliest attack in London since four British terrorists killed 52 commuters and themselves in suicide bombings on the city's transport system in July 2005, London's worst peacetime attack.